O My Lord! ........... Creator of the heavens and the earth! Thou art my Patron in the world and the Hereafter. 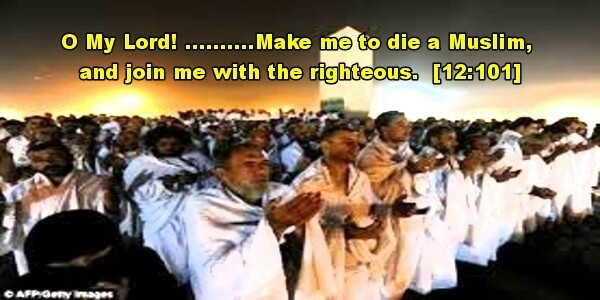 Make me to die a Muslim, and join me with the righteous.